With a population of over 1.2 billion people, more than half of global population growth will happen in Africa (1.3 billion out of 2.2 billion projected for the world by 2050). Sub-Saharan Africa is also home to 13% of the world’s working-age population; a number that is set to increase to more than 17% by 2030, the world’s second-largest after Asia. With more than 60% of its population under the age of 25, Sub-Saharan Africa is already the world’s youngest region today – and, by 2030, will be home to more than one-quarter of the world’s total under-25 population. Over this period, the region is projected to expand the size of its workforce by more than the rest of the world combined, as its young population, the best-educated and globally connected the continent has ever had, enters the world of work. There’s, however, a silent threat (or opportunity) in the corner, challenging the future jobs and economic security of some of the millions of Africa’s teeming working population: the emergence of Automation and Artificial Intelligence. Artificial intelligence (AI) refers to simulated intelligence in machines that have been programmed to mimic human action and rational thought, while automation is the use of control systems for the control of various equipment and processes. All over the world, scientific teams have made considerable progress with Artificial Intelligence, so that tasks which can be reduced to series of steps and can be taught to computers through algorithms are now being done with more efficiency and speed than humans can possibly match. Think of a basic task such as identifying and sorting parcels in the warehouses of logistics companies. In the past, this task might have required a team of humans to accomplish over a considerable period of time given the size of warehouses. Today, however, in innovative firms, this task is now accomplished with intelligent drones with more efficiency than humans. Although this is just one example, the idea is the same: if there are tasks we understand intrinsically enough to teach machines, eventually machines will replace humans in these tasks. 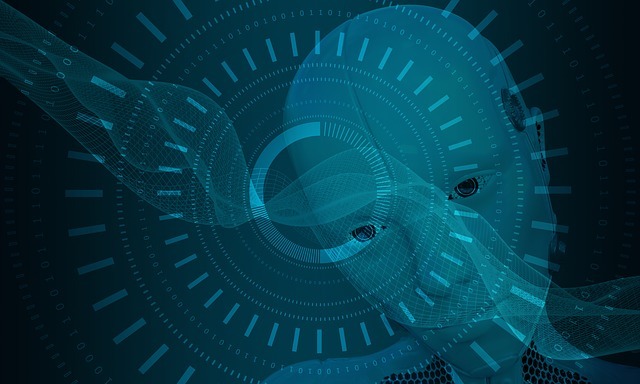 A few of these tasks will still require some human supervision – hence human workers will soon learn to have machine colleagues, but even this development will reduce the number of human workers on the payroll. Although it has been put forward that the job losses occasioned by automation and AI will be offset by gains in productivity in other sectors, this does not change the fact that many people will lose jobs, and will need to find new jobs through reskilling or employment change. Much as in more economically advanced world regions, concerns have recently been raised regarding the potential impact of automation on jobs on the continent. It has been estimated that, from a technological standpoint, 41% of all work activities in South Africa are susceptible to automation, as are 44% in Ethiopia, 46% in Nigeria, 48% in Mauritius, 52% in Kenya and 53% in Angola. The World Economic Forum’s analysis in its May 2017 “The Future of Jobs and Skills in Africa” report finds that Sub-Saharan Africa’s region’s capacity to adapt to the requirements of future jobs—measured by assessing the quality and extent of its education and staff training systems, post-basic education attainment and breadth of skills, leave little space for complacency. And some countries are more vulnerable than others. For instance, on average, Sub-Saharan Africa exhibits a high-skilled employment share of just 6%, a contrast to the global average of 24% as South Africa, Mauritius and Botswana lead the way in the local availability of high-skilled jobs while others, such as Ethiopia and Nigeria, maintain large proportions of workers in lower-skilled jobs – which are more susceptible to automation. On average, Africa only currently only captures 55% of its full human capital potential, compared to a global average of 65%, ranging from 67 to 63% in Mauritius, Ghana, and South Africa to only 49 to 44% in Mali, Nigeria and Chad. Consequently, it is reported that large numbers of African employers are citing inadequately skilled workforces as a major constraint to business expansion. This situation can, however, be remedied by the better synergy between employers and education providers. Governments across Africa are however not responding well to the challenge thrown by AI and automation, given the threat to jobs of thousands in sectors such as manufacturing and services. Africa budgets for education (e.g. Nigeria budgeted only 7.04% of its 2018 budget for education) are not keeping up with the rest of the world. UNESCO’s recommendation is for the allocation of 15-20% of national budgets to education, according to its “Education for All: Achievement and challenges” document. Even in the OECD, with much higher educational standards, emerging technologies are already a challenge, with only 10% of adults in these economies are deemed as competent as AI, according to an OECD sponsored study. For Africa, increasing the budget on education to UNESCO standards improves the quality of teachers, curriculum, and teaching tools, and might prepare the continent for the evolving world of work. “The Future of Jobs and Skills in Africa: Preparing the Region for the Fourth Industrial Revolution”. World Economic Forum Executive Briefing, May 2017. Abdi Latif Dahir, “The future of work in Africa is uncertain despite technology’s promise or perhaps because of it”, Quartz Africa, January 26, 2018. The main objectives of these workshops for the first phase are to raise the awareness of participating organizations about Internet rights and Internet policy issues; provide participants with advocacy skills to engage key stakeholders in all sectors; to mobilize their commitment to promote and defend digital rights in Cameroon. These workshops are organized by Paradigm Initiative in partnership with Internews, an international NGO based in the United States. This training also benefits from the support of Afroleadership and the Center for Youth Education and Economic Development (CYEED), local partners of the event. Following on from those organized in other African countries, this training is in line with Paradigm Initiative’s commitment to building the capacity of African organizations on digital rights issues to enable them to effectively advocate for freedom of expression and other human rights challenges on the continent. According to the African Union’s Declaration on the Rights and Freedoms of the Internet, and the Declaration on Internet Governance, most African countries lack significant mechanisms to encourage inclusive citizen and stakeholder participation in the process of implementing Internet policies and digital rights. These training workshops are organized to deepen the knowledge of participants from the North West, West and Central regions of Cameroon. A total of about 30 participants will be equipped on digital rights topics with participatory strategies to engage stakeholders at the local, national, regional and international levels. Paradigm Initiative is a social enterprise that builds an ICT-enabled support system and advocates digital rights in order to improve livelihoods for under-served youth. Our programs include digital inclusion programs – such as the Life Skills. ICT. Financial Readiness. Entrepreneurship (LIFE) training program and Techtiary program – and a digital rights program. Through our offices in Nigeria (Aba, Abuja, Ajegunle, Kano, Yaba) and Yaounde Cameroon, we work to connect under-served youth with improved livelihoods through our digital inclusion and digital rights programs.. Paradigm Initiative works with experts across Eastern, Western, Southern and Central Africa. Paradigm Initiative has been working for nearly 10 years on digital rights in Africa with the support of local, national and international partners. Internews is a non-profit, international organization, established in 1982, with offices in California, Washington DC, and London, as well as regional centers in Africa, Asia, Europe, Middle East, Latin America and North America. For nearly 40 years, Internews has worked in more than 100 countries with local partners to build hundreds of sustainable organizations, build the capacity of thousands of media professionals, human rights activists and information entrepreneurs as well as improving lives and building sustainable development. Shared below are the three sessions we are organizing to help further conversation and cooperation on digital rights issues. Synopsis: The Net Rights Africa Coalition, originally a solution to solving a problem of digital rights in Nigeria by coming up with the globally-acclaimed Digital Rights and Freedom Bill for Nigeria, has now scaled Africa to replicate its successes across regions. In doing more of what it has done in the past, the Coalition seeks to recognize the prominent challenges of digital rights across African regions and work with a cluster of experts to resolve them. The Coalition is also currently being used as a feeder for the annual Digital Rights status in Africa report. This session seeks to rally major experts on digital rights issues in Africa and have them discuss how to make this Coalition a bigger reality and success. Speakers: Grace Githaiga (KICKTANet), Grace Bomu (KICKTANet), Henry Maina (Article 19), Titi Akinsanmi (Google). Synopsis: This session will focus on the intersection of civic participation, algorithms/artificial intelligence, and human rights. Patterning has become a key identifier of results especially as it has to do with machine learning. With the huge exchange of data in Africa and with no means of measuring for accountability, these patterns are said to open to several manipulations and even selection of predetermined choices of citizens especially during the performance of the most civic obligation of all – voting. Several pieces of evidence point to these facts in the past with respect to the US elections, the UK Brexit process and more recently in Kenya. More emphasis will be placed on Africa as a virgin ground and how this ground can be protected from the likely perversion of technologies to the detriment of the people. Synopsis: This panel discussion will address the proliferation of instances where states have blocked or partially restricted access to the internet, and civil society strategies to challenge internet shutdowns using litigation before domestic and regional courts. Besides these sessions, our team members would also be participating in other sessions. You can follow @ParadigmHQ on twitter for a regular update on our activities at RightsCon. 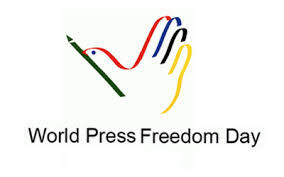 About three months ago, precisely on the 14th of February 2018, the Court of Justice of the Economic Community of West African States, pointedly delivered a judgment in favour of press freedom in the Gambia. In giving its judgment, the ECOWAS court declared that the Gambian government had violated the rights of the Defendant and directed her to immediately repeal and/or amend the relevant laws in line with its obligations under the African Charter on Human and Peoples Rights, the International Convention on Civil and Political Rights, the ECOWAS revised treaty and other international instruments. This laudable judgement has been described as a landmark one which restored hope to press freedom in the Gambia, providing justice and respect for the rights of the Gambian people, especially the journalist. 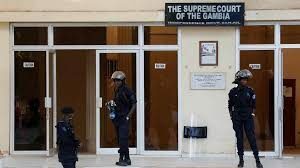 However, on the 9th of May 2018, the Supreme Court of Gambia declared that although criminal defamation and false publication are unconstitutional, sedition is only partially unconstitutional. That is, that Sedition still validly exists as an offence only when said speech is made against the President. Why this was declared by the Supreme Court of a nation that subscribes to democracy is beyond comprehension. In addition to this declaration being overtly against the order made by the ECOWAS court in FAJ v. The Gambia, it also negates other components of the principle of democracy. Democracy shows no favouritism for a single elected representative without any democratically sound reason. Democracy favours the good of the people over the interests of the government; whether as a whole or for an individual politician. The rule of law, a component of democracy, requires that the law is to govern above all persons and no one is to be above the law. The question therefore is: If it isn’t constitutional for sedition to exist as a crime against the government, why then should it be constitutional for it to exist against the President? By virtue of Article 5(3) of the ECOWAS Revised Treaty, each Member State undertakes to honour its obligations under the treaty. Article 15(4) more directly states that the judgments of the ECOWAS court are binding on the Member States. 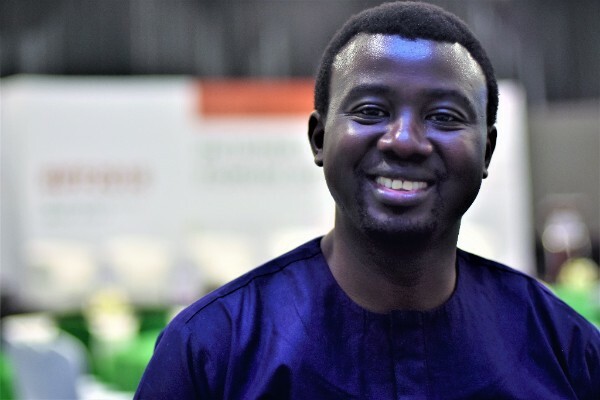 A digital rights expert, Tope Ogundipe has urged citizens of various African countries to use their power in the defense of digital rights and other human rights on the continent. Ogundipe, who serves as the Director of Programs at Paradigm Initiative, was speaking recently at a digital rights workshop organized by Paradigm Initiative and held in Yaounde, Cameroon. Many African countries have recorded several cases of digital rights violations in the last few years. These include the 2017 internet shutdown in Cameroon, arrest, and persecution of bloggers and journalists in countries including Nigeria, Egypt, and Ethiopia. The absence of data privacy and protection law in the majority of the countries also make them an easy target of data breach and abuse. The digital rights workshop is an initiative of Internews and Paradigm Initiative and received support from Cameroon-based Afro Leadership and Centre for Youth Education and Economic Development. 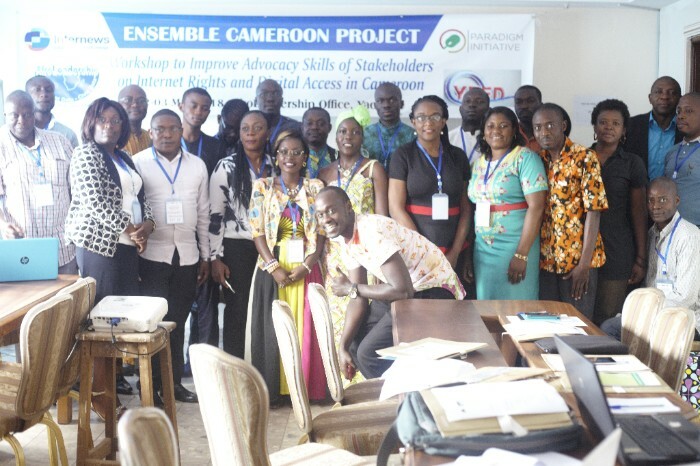 The two inaugural workshops were held over a 4-day period between May 2 and May 6, 2018, and welcomed sixty participants from different regions of Cameroon. Resource persons at the workshop include Rigobert Kenmogne, Google Policy Fellow with Paradigm Initiative, Sodiq Alabi, the Communications Officer of Paradigm Initiative, Charlie Ngouno, the Founder of Afro Leadership, and ‘Gbenga Sesan, the Executive Director of Paradigm Initiative. For three days, digital rights experts and stakeholders assessed the state of internet freedom in Africa. This was the recently concluded 6th Internet Freedom Forum organized by Paradigm Initiative at NAF Conference Centre, Abuja, between April 24 and 26, 2018. The experts, who came from countries across Africa and the world, gathered in Abuja to help shape the future of policy on the Internet in Africa. Speaking at the event, Titi Akinsanmi, Head Public Policy, and Government Relations at Google stated, “The Internet has become an indispensable tool for development in all sectors of life. 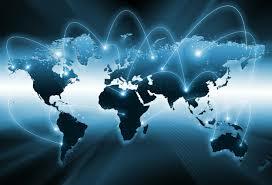 All hands must be on deck to enable more access to the Internet, and to eliminate abuses such as privacy violations”. Nnenna Wakama, Senior Manager, Africa, for the World Wide Web Foundation, highlighted the challenge of the rising cost of Internet data across the continent saying, “The conversation on Internet freedom must begin at looking at the prohibitive cost of data bundles which prevents millions of people from accessing the Internet in Africa”. Speaking at the International event, the Executive Director, Paradigm Initiative, ‘Gbenga Sesan, noted, “The Internet is, without doubt, one of the most important technological innovations of the 20th century, and has radically transformed every aspect of our modern society. IFF 2018 is a continuation of the conversation we must continue to have with all stakeholders as we seek to build a healthy and free Internet space for Africa, and the world”. Paradigm Initiative also announced the creation of a Digital Rights and Inclusion Media Fellowship, which is designed to give “media professionals, who are important stakeholders in this conversation, an opportunity to interact with professionals working on digital rights and inclusion across the continent”. 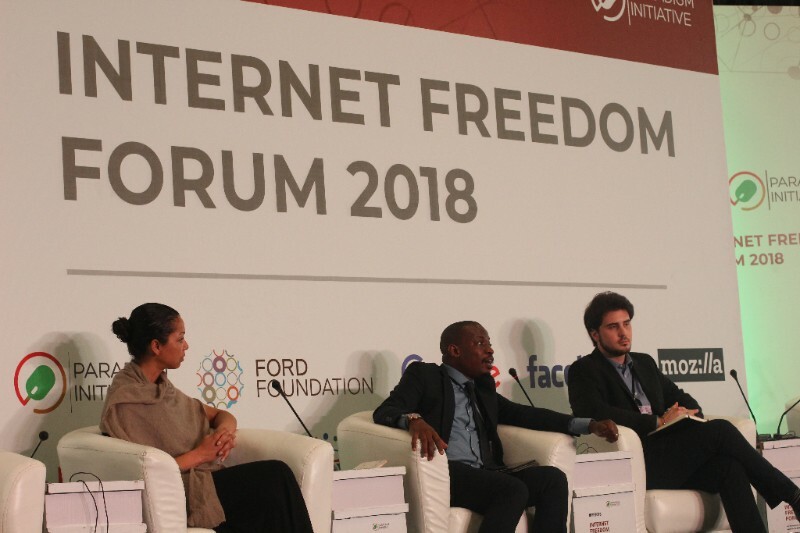 The Internet Freedom Forum welcomed over two hundred delegates from some thirty countries in Africa and beyond and received support from organizations including Microsoft, Ford Foundation, The Guardian, Mozilla, Google, Facebook, Premium Times and Civicus.